On the 22nd May the LTG 61 proudly presented her special painted Transall. 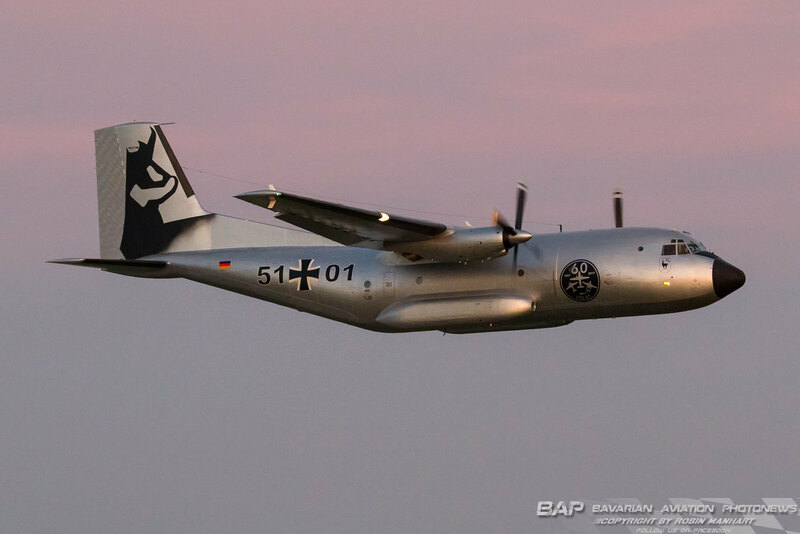 The aircraft will be displayed at the "Tag der Bundeswehr" Airshow in June 2017.The Images are shown the first Flight in the evening on the 16th May! We wishes you a Happy Easter ! 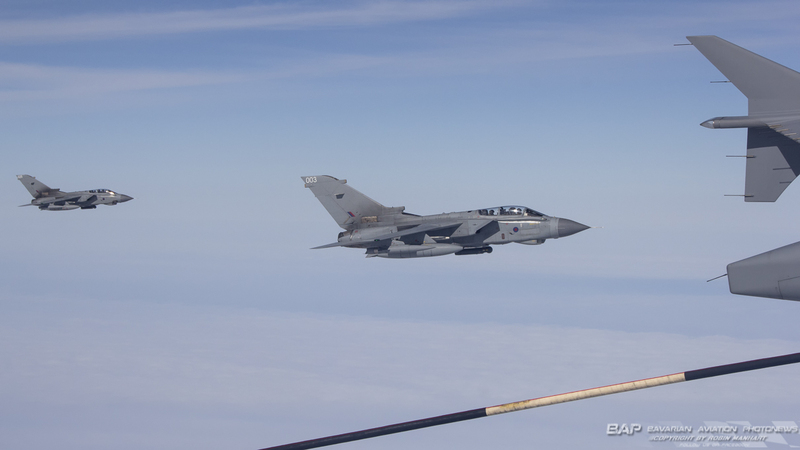 Image below shows Norman Flight of two Tornado GR4s (ZA369)/003, (ZA459)/025 from the Royal Air Force joining Cobo42 A310 MRTT (10+24) of the German Air Force during #eart17 and #frisianflag17 exercises! 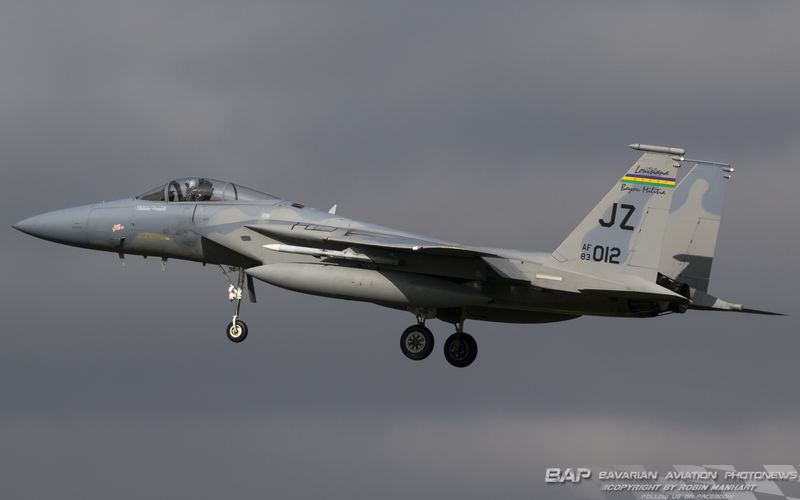 McDonnell Douglas F-15C Eagle 85-0102 of the Louisiana Air National Guard- 159th Fighter Wing during the recovery at Militärflugplatz Leeuwarden after an Frisian Flag 2017 sortie ! 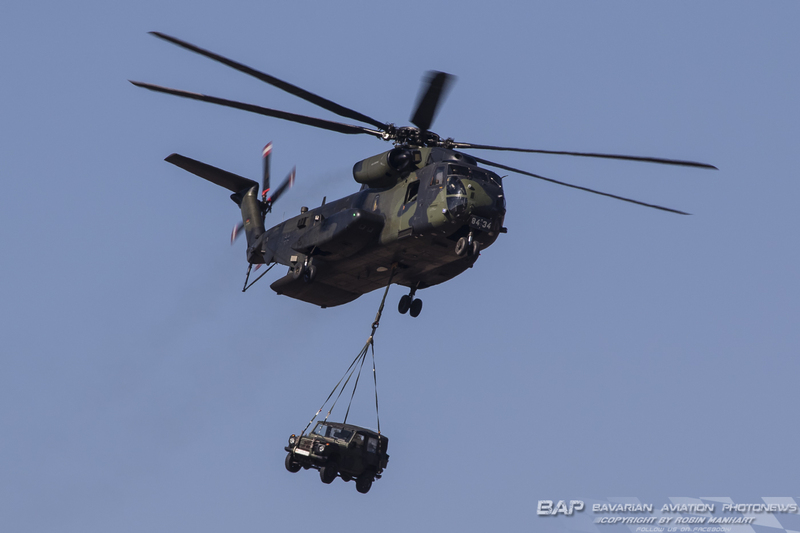 Flying with External Load is an necessary skill for every modern Military. Last week an Crew of the HSG64 train flying with different Load-outs on their Sikorsky CH-53GA (84+34) . Training's like this are been conducted on an regular basis to enhance the safety and the readiness of the Crews ! With the end of this year the final countdown for the Lufttransportgeschwader 61 at Penzing has started it will be disbanded till the end of 2017.With an big Open day at the 10th June 2017 the LTG61 want to say good bye to Public and also celebrate its 60th Anivarsary ! So we will end this year with the following Images and looking forward to 2017 ! 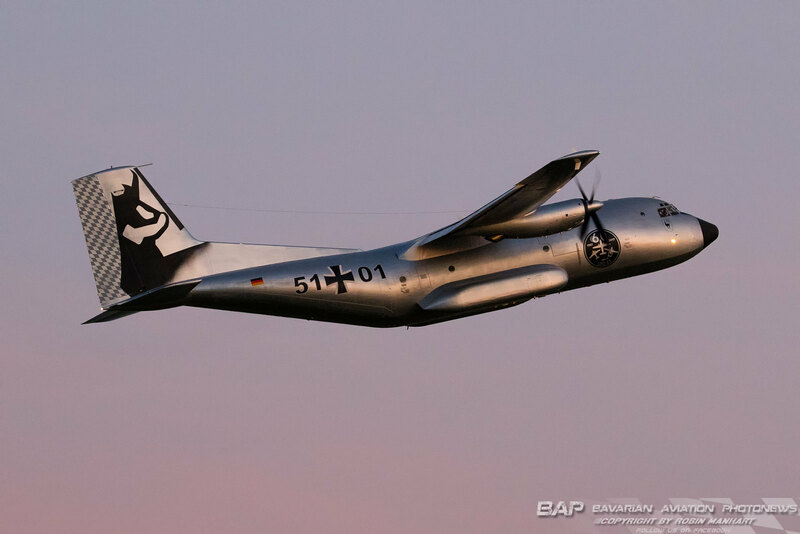 "Tower this is Gamsbock requesting a fly by! Negative Gamsbock the pattern is full"
Arround 400 personal mostly of the Chaos Assault, C/3-501st AHB(3rd Battalion, 501st Aviation Regiment),Combat Aviation Brigade, 1st Armored Division, Fort Bliss deployed to Europe for nine months in support of Operation Atlantic Resolve. Operation Atlantic Resolve is an ongoing show of commitment and resolve by the United States toward its NATO and further european allies. One of their Sikorsky UH-60M visited Penzing for a fuel stop after an mountain navigation flight seen here on depature during Sunset ! 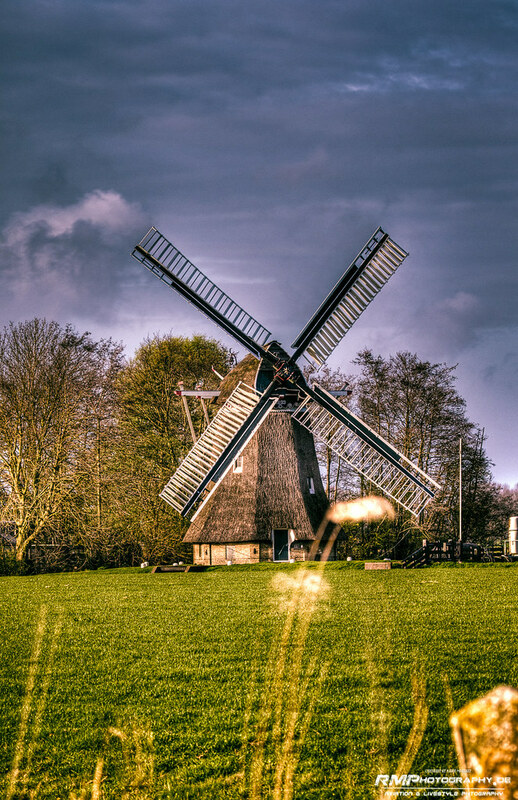 For more stunning sunset images Klick >>!